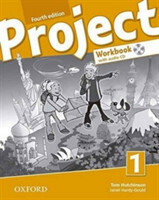 Project fourth edition uses the proven Project methodology in a new engaging format. Your students will love the redesigned cartoons, new compelling exercises, and innovative digital package. We've listened to feedback from teachers around the world and kept all the things you've loved from previous editions while enhancing and updating the material to make it more engaging than ever before. ? Digital package including animated iTools, and new DVD material. 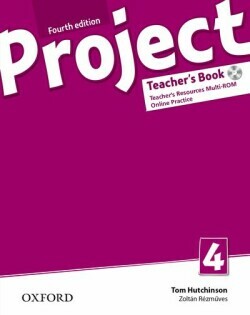 • New full-colour, interleaved Teacher's Book makes lesson planning simple. 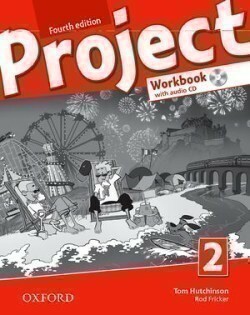 • More communication and multi-skill exercises will keep your students engrossed. 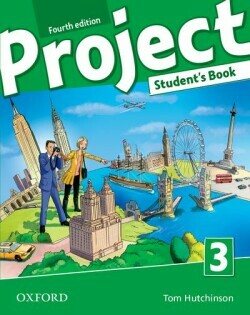 • New Pronunciation Bank and Extensive Reading Bank at the back of the Student's Book supply extra material to keep fast finishers occupied and to stretch your stronger students. NEW Extensive Reading Bank • Encourage your students to read for pleasure and expose them to a wider vocabulary with the new Extensive Reading Bank at the back of the Student's Book. • Including classic stories such as Aladdin, The Pied Piper of Hamelin and Perseus with comprehension exercises to help your students get the most out of each text. • Every story includes dialogue so your students can act it out in class. NEW Pronunciation Bank • Get all your students practising pronunciation with the new Pronunciation Bank at the back of the Student's Book. • The bank offers a wide range of activities – from TPR activities to appeal to your kinaesthetic learners – to quieter activities that could be used as extension material for fast finishers.